I am currently developing and teaching a class on the book of Daniel at my church for an adult class. I have decided to expand these lessons and place them on the internet for others to study. The method I am using in this class is called the inductive study method. When someone studies something inductively, he or she digs into the subject (in this case the book of Daniel) and learns as much as possible from the book before reading what others say about it. Lesson 0 - Getting started in the study of Daniel. Lesson 1 - How does the book of Daniel fit into the Bible and into history? Many people think "faith" is believing something for which there is no evidence. 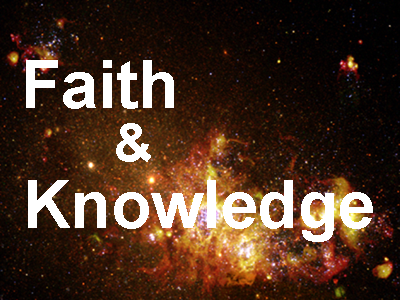 Schopenhauer wrote that faith and knowledge are opposites. Around Christmas, we are bombarded with heart warming movies & TV shows, kids cartoons, and Christmas specials, in which someone will almost always say something like, "You gotta believe!" They make "faith" out to be some etheral, can't quite touch it, marshmello-fluff idea. But that is not the definition of Biblical faith. So what is faith? And how does it relate to knowledge? Following are some blogs related to this topic. Doubting Thomas was a skeptic. So was Dr. Luke, author of two Biblical books. Moses, the Apostle Paul, and others in the Bible authors taught that we should be skeptical of some things. Good scientists are skeptics too. 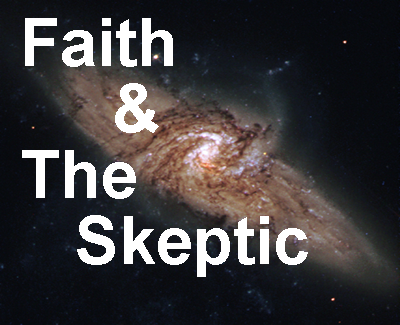 Following are some blogs showing the relationship between faith and skepticism. None of us have perfect knowledge. Good scientists use error bars to quantify how uncertain they are of the measurements that they make. They are able to calculate the probability of their measurements being wrong. In other words, scientists use error bars to show how much faith they can put in their data. We also have "error bars" on what we know about God and the Bible. 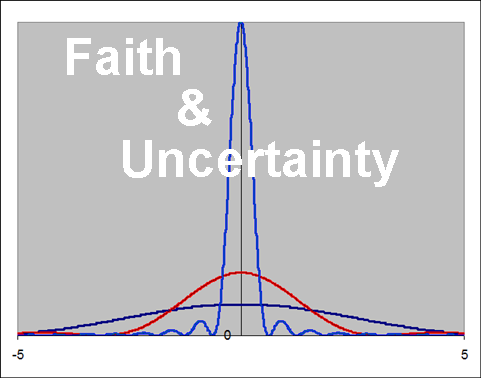 In other words, our faith in God has an uncertainty on it too. The amount of faith we can place in God is proportional to how much true knowledge we have about God - how well we know God. But these error bars on our faith are much narrower than most people think. Following are some blogs related to the error bars on our faith.